The clients who commissioned this trio of houses were friends. Originally Rietveld designed one standard type to a square modular grid. At the end of the day the demands made by the three clients were so divergent that he designed three different houses. They are three variations on a theme; cubic compositions of alternate white and grey glazed brick with white wood frames containing blue steel windows and doors. 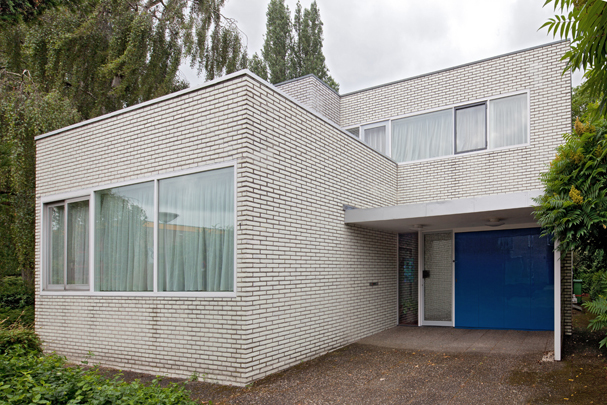 Rietveld didn't live to see the buildings completed, Van Dillen and later Van Tricht taking over after his death.